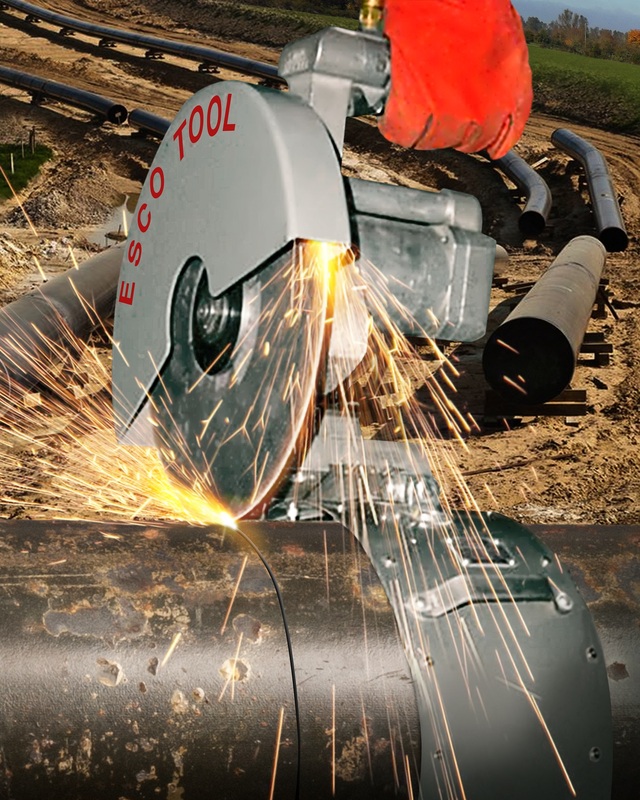 An air-powered saw that features a self-centering track system, pre-sized for pipe from 6” to 60” dia., to produce perfectly square cuts with no HAZ (heat affect zone) is available from ESCO Tool of Holliston, Massachusetts. The ESCO APS-438 Universal Air-Powered Saw features a fiberglass reinforced blade for cutting super duplex stainless steel pipe, concrete lined pipe, ash pipe, and other heavy-wall hard alloy pipe up to 4-3/8” thick. Ideally suited for 6” to 60” dia. pipe, it is available with the WrapTrack® System of pre-sized stainless steel bands that clamp onto the pipe circumference. Easy to setup and use, the ESCO APS-438 Universal Air-Powered Saw mounts securely onto the WrapTrack® System using a trolley with four V-grooved stainless steel roll guides. Powered by a 3 HP pneumatic motor, the saw is fully supported to reduce operator fatigue. Applications include onsite pipe cutting, erection of piping systems, and pipe fabrication in shops. The ESCO APS-438 Universal Air-Powered Saw and WrapTrack® System are priced from $5,895.00 and up, depending upon the band diameter size.